Thompson Septic Systems... Quality To No End! ​Serving over six counties in Kentucky for more than 30 years! Unfortunately, Thompson Septic Systems does not provide septic tank pumping / cleaning services at this time. Click the button below to see of our trusted affiliates for all your pumping needs. Greg Thompson Septic Systems has been in the Onsite Waste Water business for over 30 years. We are a Mom and Pop company that takes pride in our work and relationships with our customers. 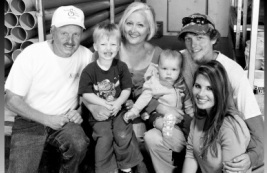 The company started in 1981 when owner, Greg Thompson, & Co-owner Sherry Thompson began installing septic systems. Realizing the benefits of owning a company, they quit their day jobs and started installing septic systems full time in 1991. We have a long time commitment to excellence and a family business that puts our customers and our quality above all else. 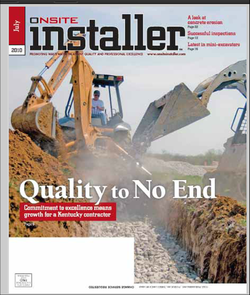 Our company was featured in a national septic magazine in July of 2010. Here is the link if you would like to get an in depth look at our business / family. All three family members / employees are State Certified and licensed septic system installers for new systems and repairs.